There are so many good choices among family crossovers, all well-packaged and reasonably well-performing—some with third-row seating—but for the most part they’re all so darn appliance-like and anonymous that it’s not surprising they drag us toward a state of anhedonia. Somehow the Dodge Journey SXT escapes this. It not only shakes off the same-as sheetmetal dressing other crossovers and puts on sheetmetal that isn’t necessarily fresh, and it doesn’t drive all that much different than the rest, yet the product as a whole is refreshingly different—not so different as to be wacky, but different enough to avoid that rut. 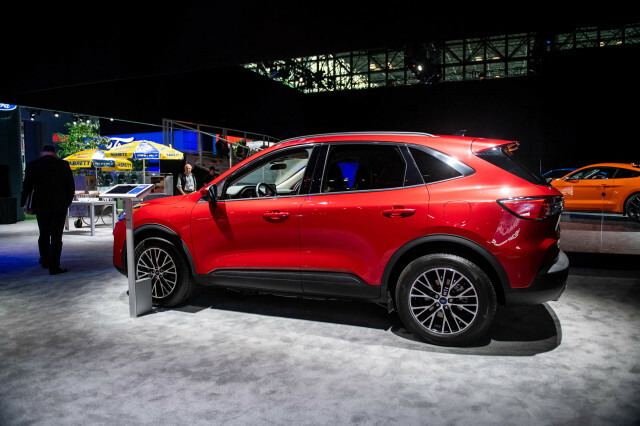 The Journey has been often overlooked by those shopping in what’s really the heart of the family market nowadays—including compact crossovers and the most manageably sized mid-size crossovers. It’s a shame, but it’s understandable given that this vehicle has made its own journey—and as we recently affirmed, as a better model today, it deserves solid consideration. 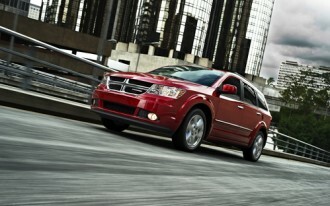 While the Journey was introduced for 2009, it arrived at an awkward transition point in Chrysler history. It was a decent vehicle from the start, but for 2011 it got Chrysler’s new Pentastar V-6, a completely different instrument panel (we like the smooth, swoopy look and simple layout), and major improvements to reduce noise and vibration. Now in its fourth model year, the Journey seems to have caught on, with sales for the 2012 model year poised to be at their strongest yet. 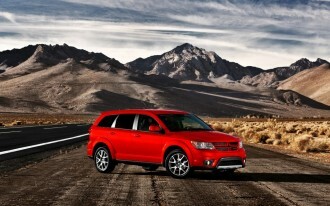 Busy parents should still see plenty they like in the 2012 Journey. There are plenty of signs that Chrysler applied its long-earned expertise with minivans to the Journey’s interior design; people and cargo really do fit well into the Journey. Front seats are what we’d best describe as ‘American-sized’—think wider than some other seats. On curvy roads, we might have expected better bolstering, but on mostly flat Michigan highways these seats proved soft yet with enough built-in back support. Back-seat accommodations are among the best you’ll find in any vehicle this size, and the seats are contoured to fit adults; the seatback is adjustable for rake, and the whole bench slides fore and aft a few inches, so it’s easy to get comfortable back there. In back, folding the seats forward takes an extra step—you slide the middle portion of the outboard cushions up and forward first—but the reward is that you get a lower, flatter load floor as well as that better contouring. There are also many thoughtful solutions for storing odds and ends, and keeping some of them out of sight. For instance, the cushion of the passenger seat flips up to reveal a bin underneath, while below the rearward portion of the cargo floor there’s a huge space vast enough for a couple of laptop bags. Chrysler's new Pentastar V-6 seems to cheer up pretty much any product it's been installed into, and the Journey is no exception. Here it makes 280 horsepower, and it’s enough to move this ute with authority. And never mind the numbers; in real-world driving it feels much perkier than the available 3.6-liter in the Chevrolet Equinox, which is roughly the same size. 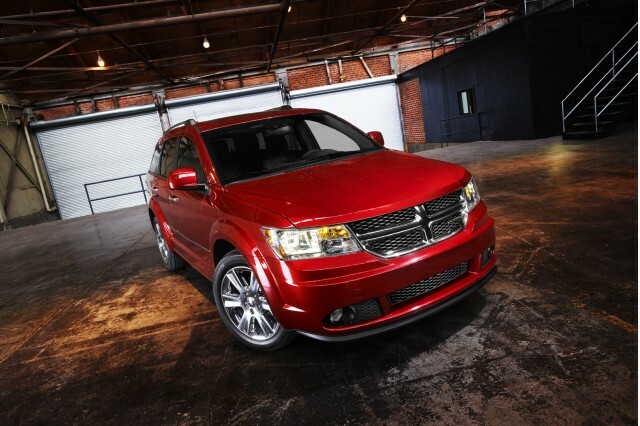 While the Journey wasn't the NVH (noise, vibration, and harshness) disaster that the Dodge Avenger had been a few years ago, it was in need of a little more refinement, and while we can’t speak to the four-cylinder models, it’s now one of the better picks in the class—better isolated from road harshness and driveline vibration. The only thing we were left wanting from this powertrain was better shift quality from the six-speed automatic under lighter acceleration. It delivered snappy downshifts when we asked for quick bursts, but at gradual rates the upshift quality felt lumpy and downshifts didn't seem as decisive as they could be. And when braking lightly up to a stoplight, we'd frequently feel torque-converter shudder in the 20-mph range. Tight freeway ramps and a few curvy roads brought some pleasant surprises. 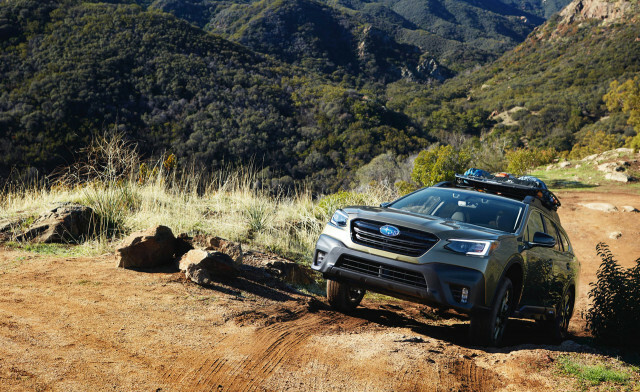 The Journey's suspension loads and unloads confidently, like a lower and leaner vehicle than it is, and there's none of the excessive bounding or wallowing when you hit a bump mid-corner with some taller crossovers. And all the while, the steering system here is something to delight in; after driving so many revamped vehicles in this class with electric power steering systems that are either too twitchy and light or artificially heavy, the hydraulic system in the Journey gets it right, with nice weighting, a good sense of center, even a touch of surface communication. There's no appreciable torque steer, either. We see no reason to steer away from the V-6 in the name of fuel economy, because what we saw in an extended drive was impressive, with results that meet or beat the Journey's 17-mpg city, 25 highway EPA ratings. Over about 700 miles of driving—across Michigan, and including a mix of freeway driving, family-hauling, and suburban side trips—we averaged 24 mpg. That's not far from what we've seen in four-cylinder crossovers this size, and those models' powertrains aren't as satisfying as this V-6. 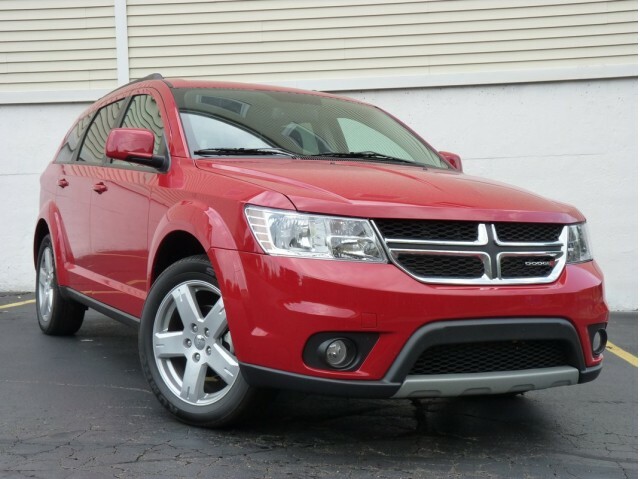 The 2012 Dodge Journey SXT starts at just $22,995, but the bottom-line price of our mostly loaded test Journey SXT—$28,905—felt a few thousand less than we might have guessed for an almost-mid-size crossover with refined V-6 power and a long list of features. 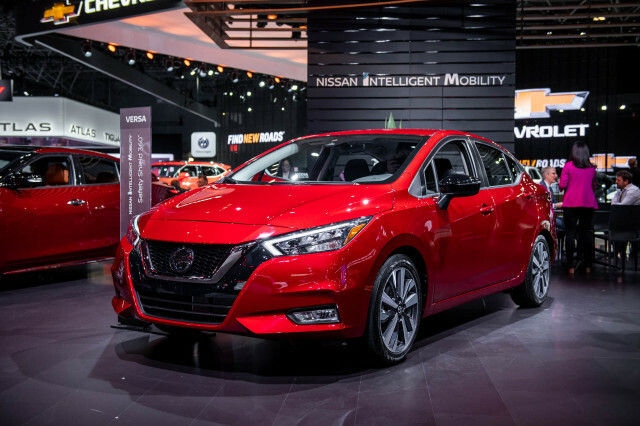 Among the options in ours were the $995 Popular Equipment Group (upgraded seats, security alarm, LED lamps, in-seat storage, remote start), and the Safe and Sound Group (ParkSense, a backup camera, UConnect Touch, a larger screen, and dual-zone climate control). As in other recent Chrysler products, we found UConnect Touch to do everything entertainment-related that we’d hoped for (it smartly and quickly indexed 16 GB of music on an SD card and made it easy to scroll through with the rotary tuning knob), plus it never had a hiccup with hands-free dialing or accessing other media on my iPhone. The only obvious question from several passengers pertained to why it didn’t include navigation; a Chrysler official said that it’s available as a dealer-installed upgrade even if you don’t initially order it. 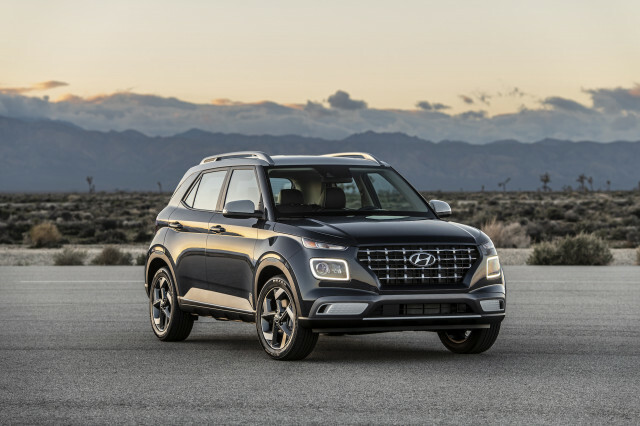 In all, if you need third-row seating in a relatively small package, there might be a few mainstream crossover models on the market that make just as much sense as the Journey. But this Dodge feels like a vehicle we’d choose to get, not one we’d have to get. And that’s saying a lot.